Our machine with the derrick down sitting on the wheels in front of our shop. 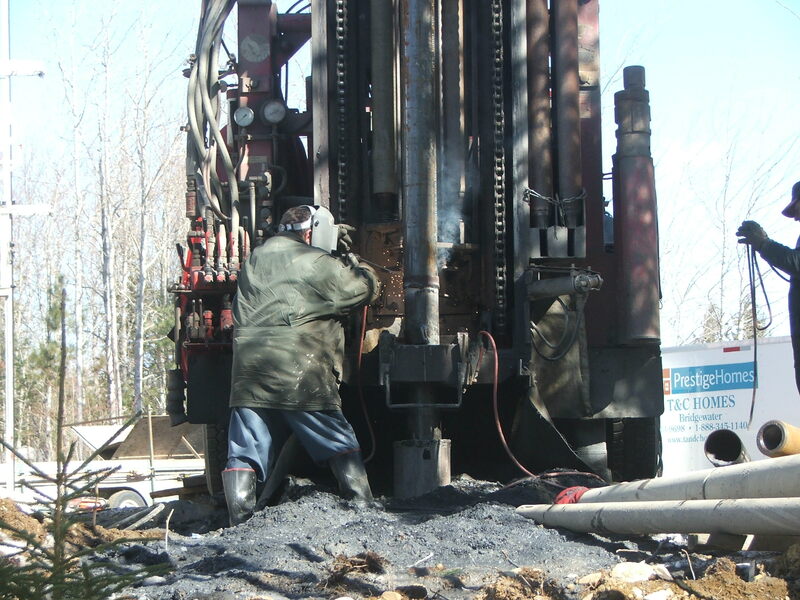 This is a short video of our older machine drilling in the bedrock. 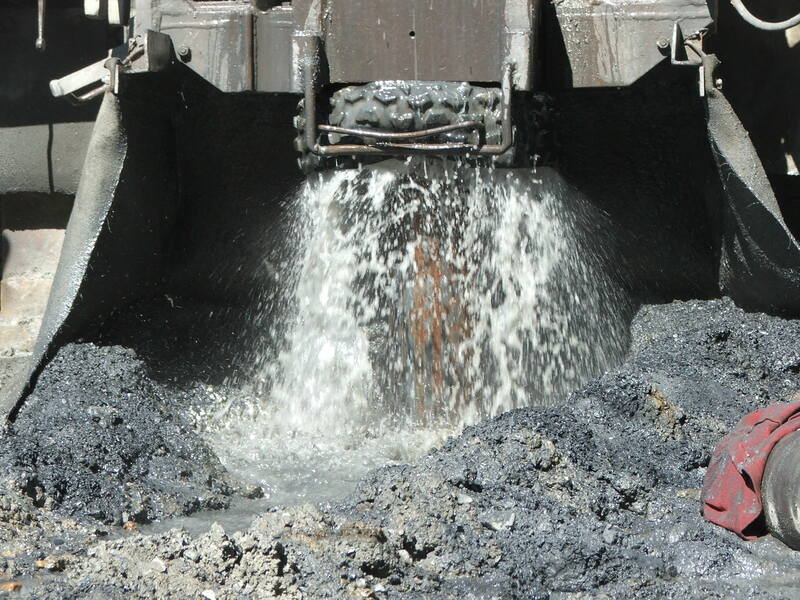 We use water to drill with, so there are cuttings and water coming out all the time. You can see the drill rod turning, which explains the "rotary" name and the pneumatic hammer is hammering away if you have the volume turned up. 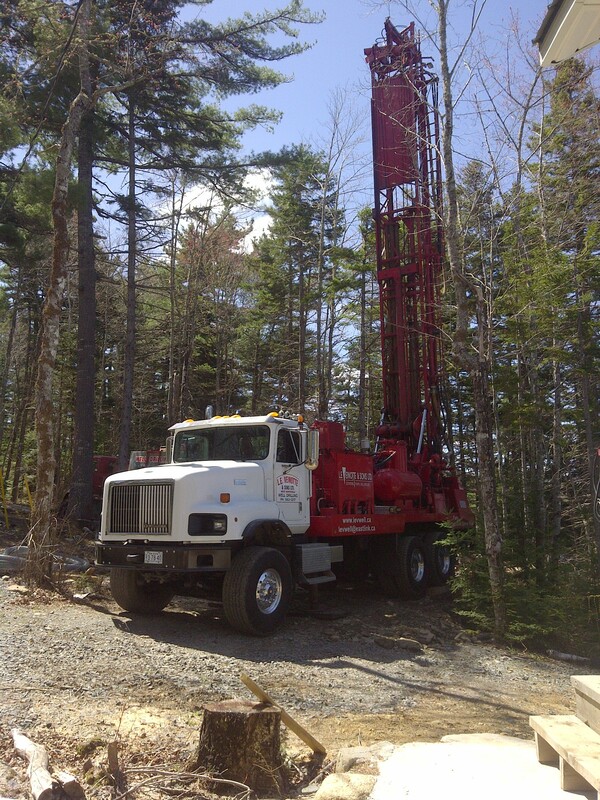 Our machine set up on a job site. This gives a feeling for how high the derrick is when it is ready to work. Welding the casing together to put it down the hole. Don't watch the weld, your eyes will hurt in the morning! Lots of water here! Flushing the well out to get the water clear. 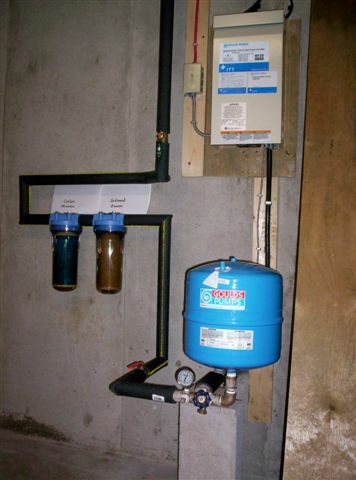 This is the Goulds Balanced Flow system (constant pressure) installed at a happy customer's home. Just a tiny pressure tank and controller on the wall. The inline filters were installed as an option. This is a newer setup with the Goulds Balanced Flow system (constant pressure) installed in a new home. It is all wired and ready to go. 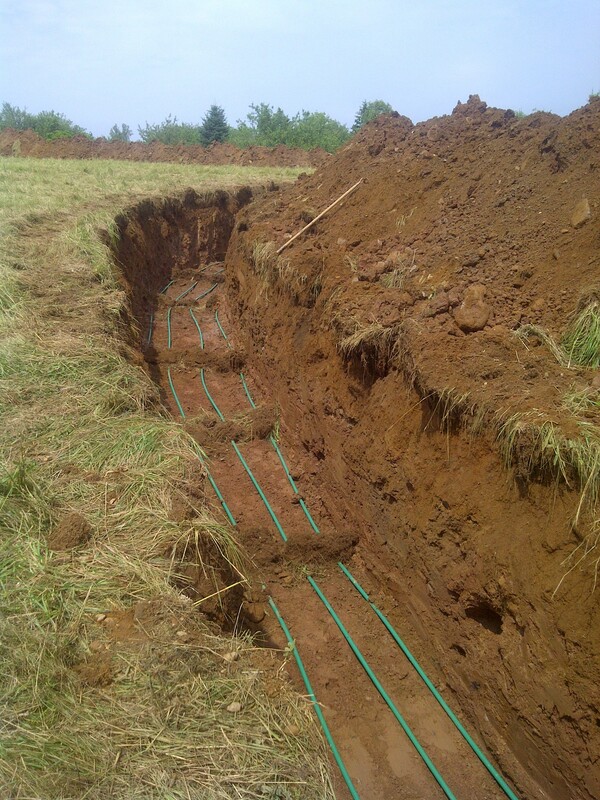 This is one trench of a horizontal loop installation. Two loops are shown here of Geosmart 3/4" pipe. 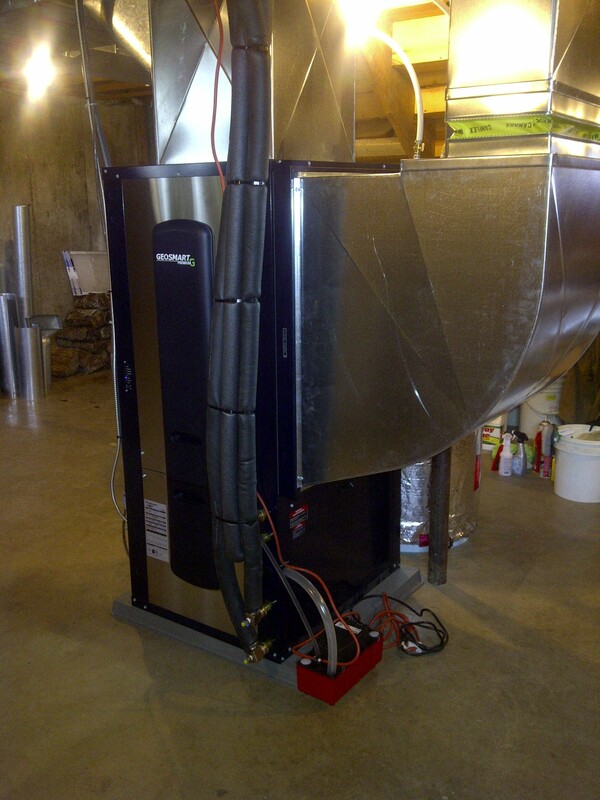 This is a 4 ton Premium G forced air geothermal heat pump installed with ductwork in a customer's home. It is all connected with piping from the ground loop and flexible duct connections to the house. Also installed here is a condensate pump to get rid of the water in air-conditioning mode since there is no floor drain. This is what the well looks like once we have finished the pump installation and levelled off the ground around it.